Sir Leon Radzinowicz is one of the key figures in the development of criminology in the twentieth century. 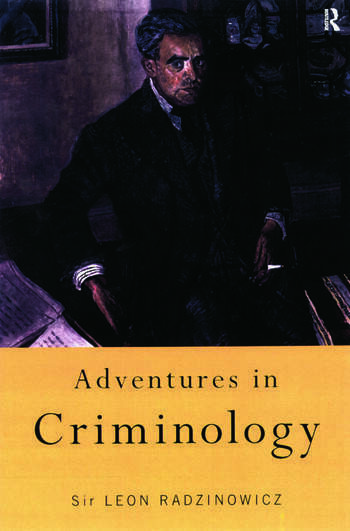 This account of the development of criminology intertwines his personal narrative as a criminologist with the progression of criminology itself. His experience gained from a career which has spanned 70 years since the 1920s, offers a profound overview of how the understanding of crime and criminals, of criminal justice systems and penology has changed, and of the tensions and dilemmas these pose for democratic societies.